When the current season of CBS daytime talk show The Talk premiered, we got a look at the hosts without any make-up. Halloween is approaching and this Wednesday, viewers will find the hosts covered in make-up and costumes and headed down the rabbit hole for a special Alice in Wonderland-themed Halloween episode. Check out their excellent costumes ahead! 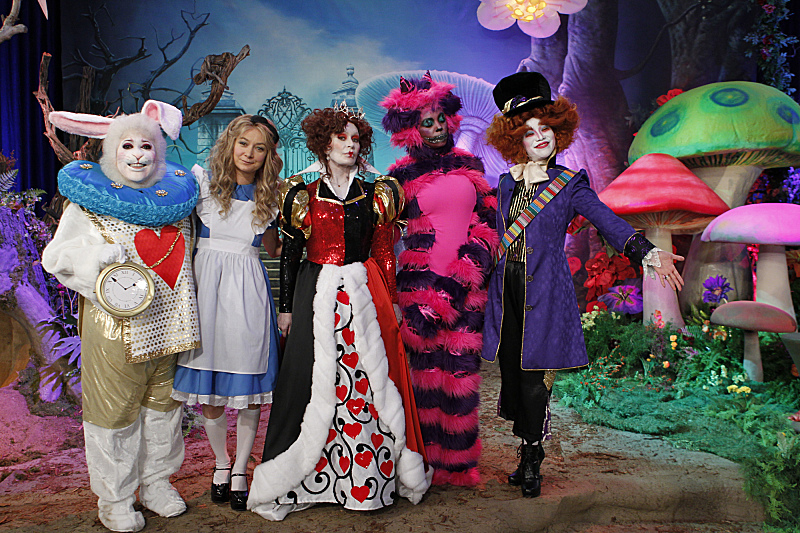 The Talk is clearly making the most of Halloween this year, with the hosts dressed up as Alice in Wonderland characters for the October 31 episode (2:00-3:00 p.m., ET; 1:00-2:00 p.m., PT/CT). Here's the photo CBS released to give us a very spoilery preview of Sara, Julie, Sheryl, Aisha and Sharon in there costumes and standing among a very colorful, mushroom-decorated set. 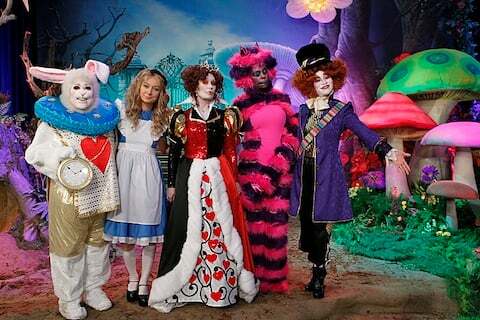 We have Sara Gilbert at Alice, Julie Chen as the Mad Hatter, Sheryl Underwood as the White Rabbit, Aisha Tyler as the Cheshire Cat and Sharon Osbourne dressed up as the Queen of Hearts. The episode will also feature costume-clad guests including Jennifer Coolidge, Vicki Lawrence and Wilson Phillips' Carnie and Wendy Wilson. While the image spoils us on the excellent costumes of the hosts, CBS' announcement promises "lots of kooky surprises" in store for the episode, and an appearance by celebrity chef Cat Cora, who will share some delicious Halloween-themed recipes. Plus, we'll get to see the hosts of the talk show partake in their usual hosting responsibilities while dressed up in those costumes. That in itself seems like reason enough to tune into The Talk this Wednesday! Click the thumbnail below to view a bigger version of the photo.